We noticed an abnormal amount of transactions in your account recently. We have limited access to your account. 2. Proof of Stocks- to prove that I have what I sell. Well, this does not seem difficult to most of you, if only you are a company and receives invoices from other companies. 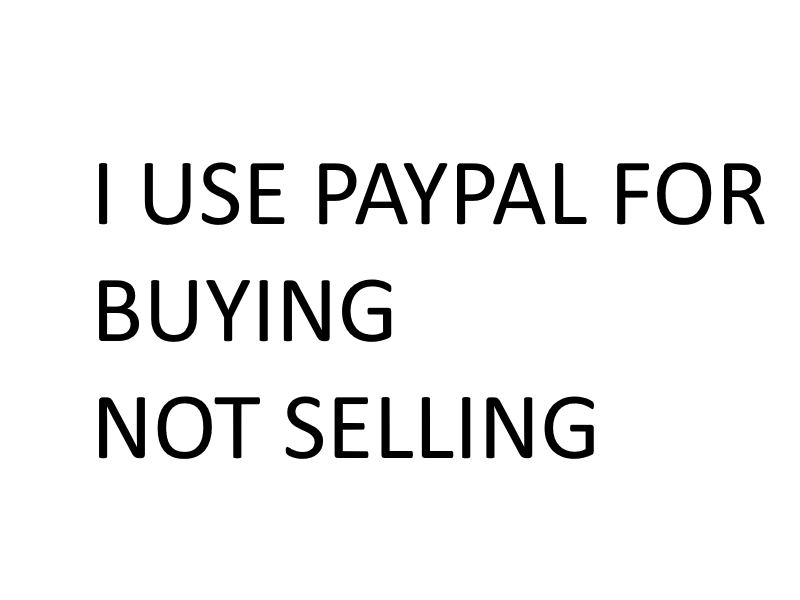 I am using Paypal for buying stuffs only! How am I to provide a proof that I have something in stock? I sent them an e-mail via their so called “contact us” but it was to no avail. I received zero replies from Paypal aside from their automatically sent confirmation e-mail telling me they received my inquiry. Yes, I sent them this picture. Not lying. And two days later, they sent me a message via e-mail telling me that the limitation has been lifted. I expected a real human sending me an e-mail asking “Sir, your proof is not something we expected.”, instead they lift my limitation even with this picture shown. I couldn’t have expected more from Paypal. Previous Previous post: My Blog’s got a New Home! Next Next post: I am not gone!